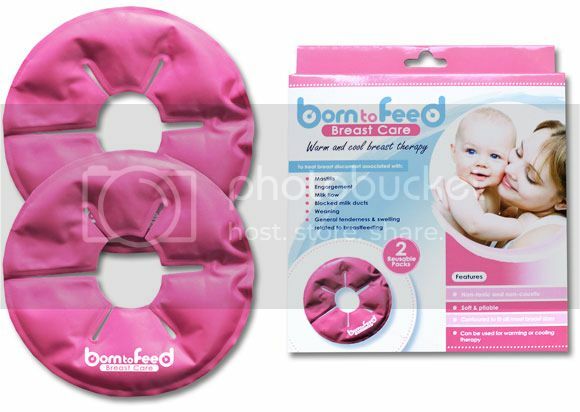 Warm or cool breast therapy is designed to ease discomfort when breast feeding, due to mastitis, engorgement, milk flow, blocked milk ducts, weaning, breast surgery and general tenderness and swelling. The contoured gel packs are designed to fit all/most breast sizes (16.5 cm diameter) and are safe, non toxic, soft & pliable and flexible for total comfort. Each pack contains 2 gel packs, which are simply washed with soap and water after use and are reusable. Easy to use: Warm Therapy - simply heat in microwave for 40 seconds intervals until desired temperature achieved or soak in hot water for 3 5 minutes. Cool Therapy Place in freezer for one hour prior to use. Can be placed inside your maternity bra to hold the pack in position as required.